This cap was discovered in an old house in Worship Street, East London. It is knitted with thick, reddish brown wool in stocking stitch. It has been felted, cut and re-sewn to make two overlapping brims, and blocked into its finished form. 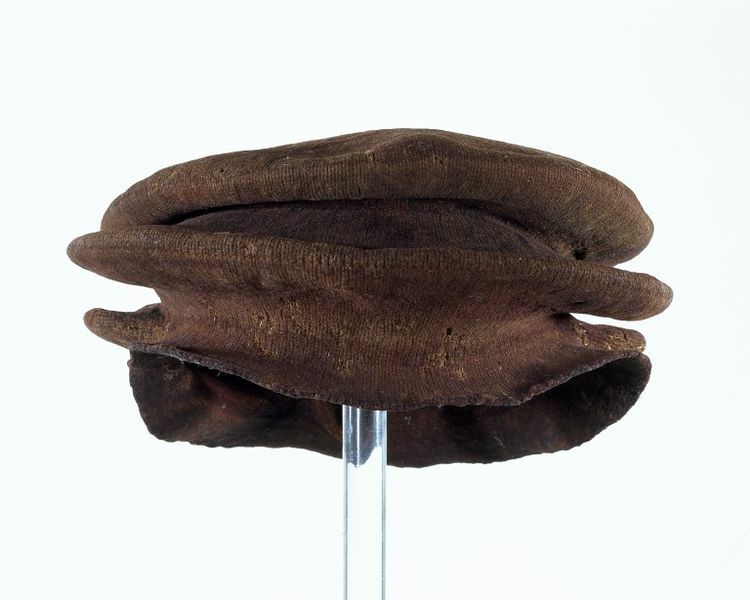 Excavations of late medieval and Renaissance artefacts have revealed a large number of similar caps. They were an important item of everyday clothing and are mentioned in a law called the Cappers Act of 1571. This decreed the type of headgear that every English resident over the age of six and below the rank of 'gentleman' should wear on Sundays and holidays. It specified ‘a cap of wool, thickened and dressed in England, made within this realm and only dressed and finished by some of the trade of cappers, upon pain to forfeit for every day of not wearing 3s. 4d’. The aim of this Act of Parliament was to protect the trade of cap-making. 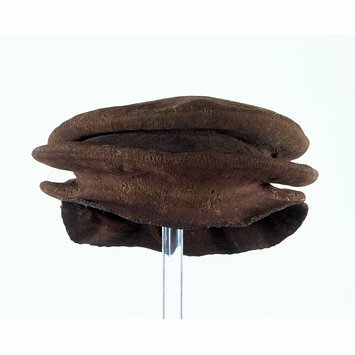 Felted cap knitted in thick reddish brown wool with two overlapping brims. Levey, Santina M. Illustrations of the History of Knitting Selected from the Collection of the Victoria and Albert Museum. Textile History Volume 1, Number 2, December 1969. Plate IV.